It's no secret that fashion designers are often inspired by African American culture and hip hop. We seen it on the runways for Chanel to Rick Owens. Well, now we can add Phillip Lim to that list. The American designer geared up to show his Spring 2015 menswear collection in Paris last month and shared the following inspiration photo with Style.com. 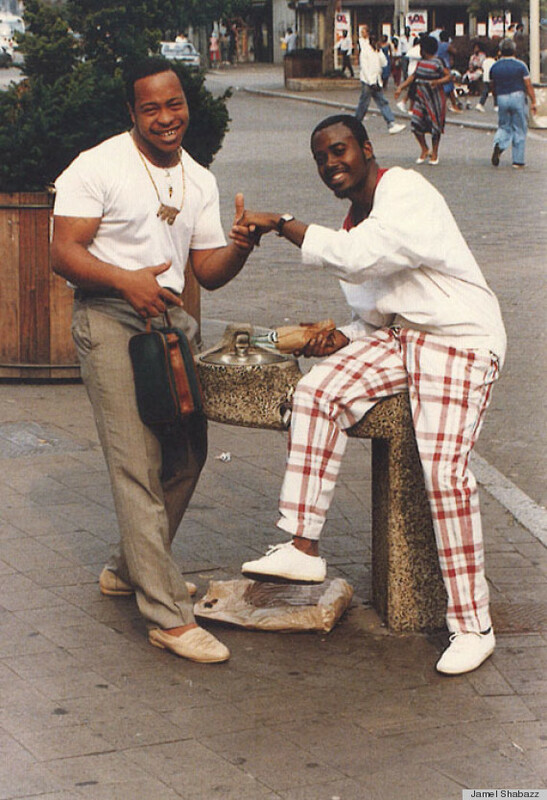 If you don't recognize the photo it's by iconic photographer Jamel Shabazz and featured in his book "A Time Before Crack." Clearly Lim has got a collection full of New York City street style threads circa the 1980's up his sleeve.